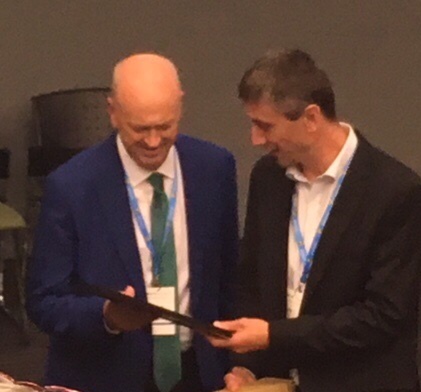 Congratulations to Professor Graham Currie and Dr Chris De Gruyter who received the John H Taplin Award for Best Paper at the 39th Australasian Transport Research Forum (ATRF). The title of the paper was ‘Exploring the Sustainability of Public Transport in Australasia’ which builds on previous research on public transport sustainability undertaken by PTRG. The 39th Australasian Transport Research Forum was held at the University of Auckland in New Zealand.